Any inventory clerk or accountant will agree that stock inventory management is crucial to any business that must maintain an inventory of merchandise, equipment, tools, or materials. But as all inventory clerks know, keeping track of inventory is hard enough without worrying about inventory optimization. Many large companies use complex inventory databases to minimize excess inventory, but these systems are costly and difficult to setup. If you are a small or medium size company, or just need something to get you started, check out our simple inventory control solution that includes an Inventory Control Spreadsheet template, a Physical Count Sheet and an Inventory Label template. Continue reading below the download block for additional tips and information. Vertex42's Inventory Control Template will help you get your inventory program started - including reducing surplus inventory and processing inventory updates. 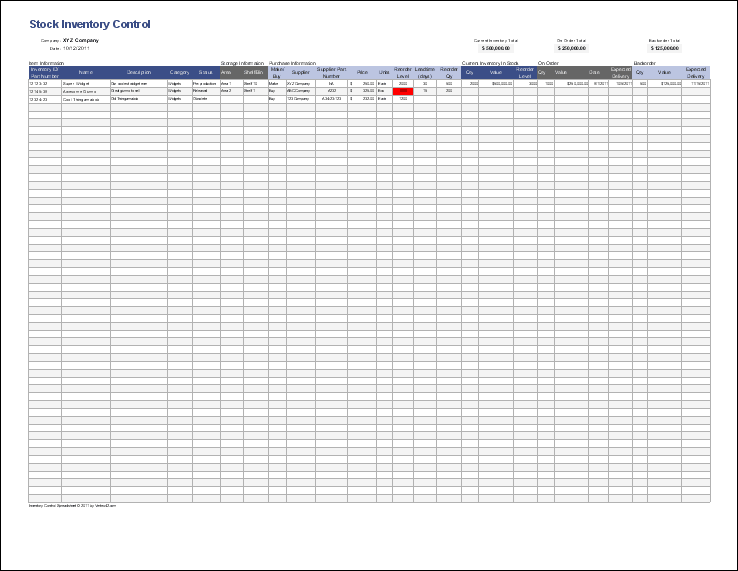 The Inventory Control sheet will highlight reorder levels when it is time to reorder. To decrease surplus inventory keep the reorder levels as low as possible without jeopardizing production or sales. 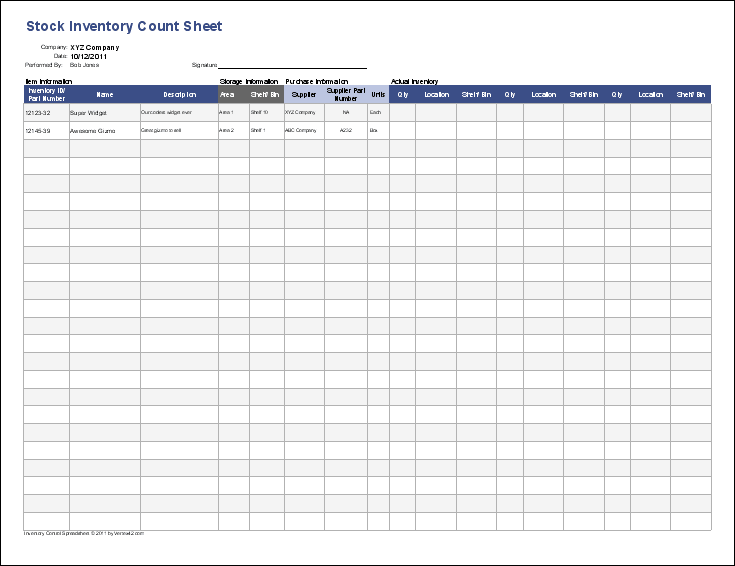 Use the physical Count Sheet (view screenshot) for manual inventory audits. Once collected, update your Inventory Control Sheet. Make sure to include both internal and external part numbers so items can be easily and correctly identified. Use the status field to track the life cycle of a part from pre-production through obsolescence. 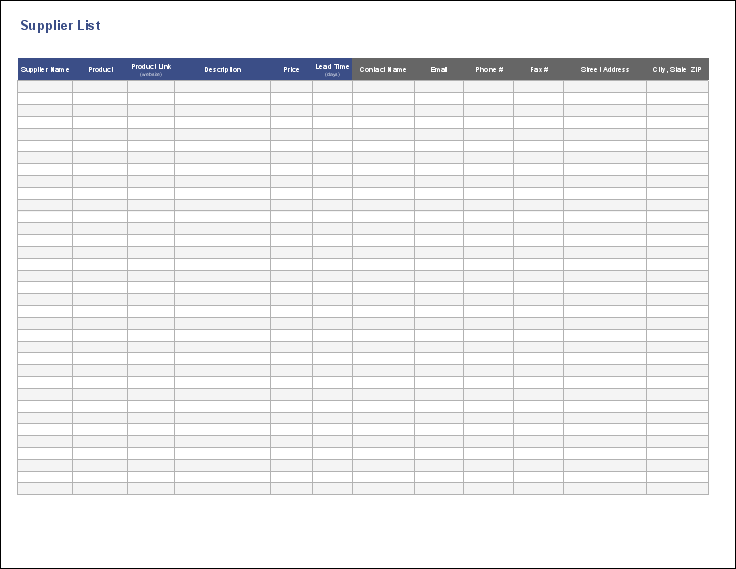 Print inventory labels using the Label (view screenshot) worksheet. Are you responsible for keeping track of software compliance and computer hardware? – try Vertex42's Software Inventory Tracking template – a great way to get your software inventory in order. Automated Inventory Software at inflowinventory.com - If you are looking for something more automated than a spreadshet, try inFlow. 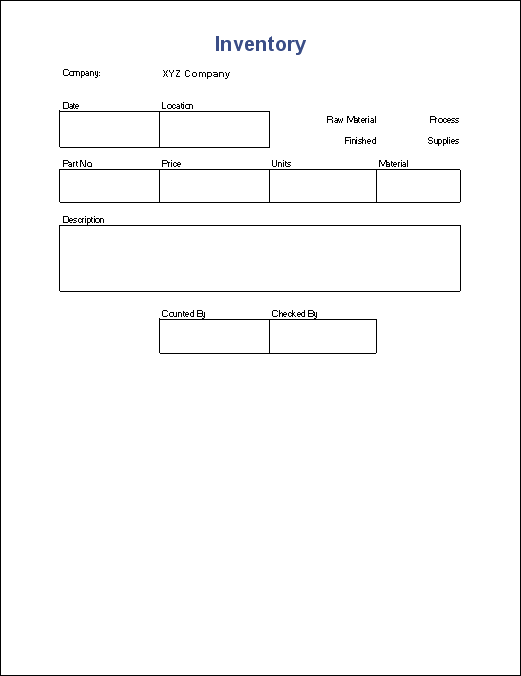 Inventory Count Procedure at accountingtools.com – Here are some accounting guidelines for preparing and conducting a physical inventory count using inventory sheets. Best Practices for Accurate Physical Counts of Inventory at gao.gov – The United States General Accounting Office's best practices for counting inventory. Calculating The Best Reorder Point at scm.ncsu.edu – Brief article that describes a formula to determine the best reorder point if you want to get fancy. There are other good articles on other inventory issues.